be pretty cool to write a PE loader. Doing so under Linux is not particularly difficult, given the binfmt infrastructure, already well used to support legacy and emulation targets. 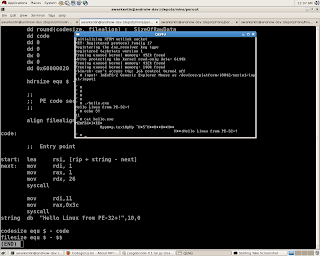 Two gloomy evenings later I had something that could load a rudimentary PE-COFF executable :-). It doesn't handle an IAT yet, so no shared objects, and since I was in a hurry and tired, no relocations and section alignment must equal file alignment, but I'll work those three out eventually. Since I didn't have a PE tool chain on hand, I assembled the headers manually, kindly borrowing from them Tiny PE work. 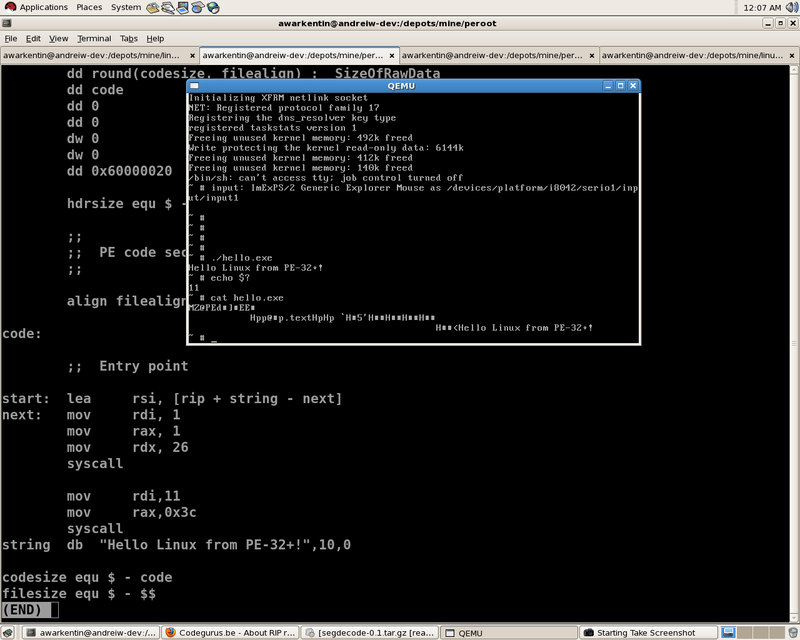 write an NT personality for Linux, so I can run an unmodified ReactOS smss.exe with an unmodified ntdll.dll.